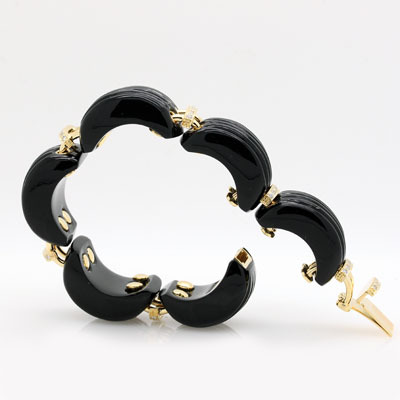 Onyx And Diamond Chunky Link Bracelet at Reliable Gold Ltd in Rhode Island Reliable Gold Ltd.
Classic and bold sculpted onyx link bracelet with diamond in 14k yellow gold dividers. 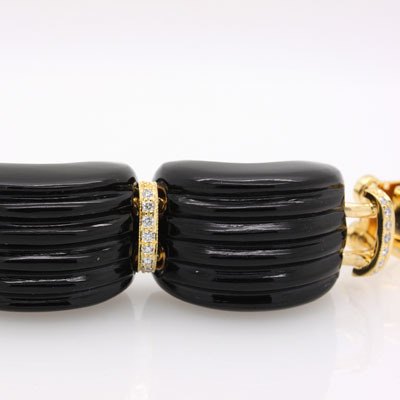 A whopping 246.42 carats of black onyx and .57 carats of diamonds (approximately). Perfect for day or night.